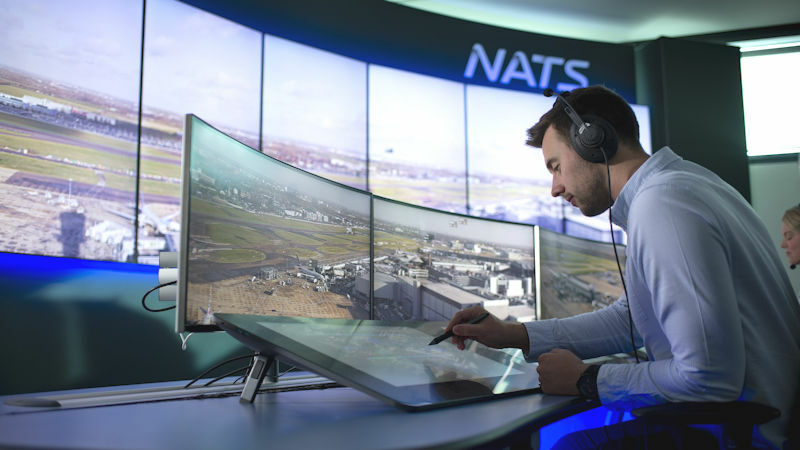 UK air traffic management company NATS is trialing Artificial Intelligence (AI) technology at London’s Heathrow Airport to help reclaim capacity lost to poor visibility. 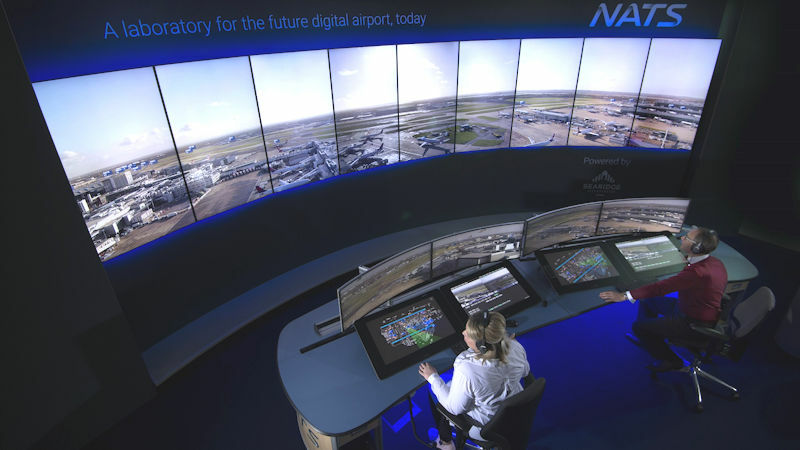 The trial, taking place at NATS’ Digital Tower Laboratory at Heathrow, uses a combination of high definition cameras and AI technology to see if improvements can be made to the airport’s landing capacity at times of low visibility. NATS says Heathrow’s 87 metre (285 feet) tall control tower provides excellent views of the airport, but its height can be a problem when there is a low cloud base. Even when runway visibility is good, the tower can sometimes be shrouded in cloud. During those conditions, controllers have to use ground radar to see if arriving aircraft have left the runway. The extra time generally given between each landing to ensure safety means a 20 percent loss of landing capacity. This creates delays for passengers and knock-on disruption for aircraft movements. NATS’ solution is 20 ultra high definition cameras around the airport feeding an AI platform developed by Canada-based Searidge Technologies. The platform can interpret the images, track the aircraft and inform the controller when it has successfully cleared the runway. NATS believes the technology will allow it to reclaim the lost runway capacity. The trial is part of a GBP£2.5 million (USD$3.3 million) investment NATS has made in a digital tower laboratory at the Heathrow control tower. “Safety is always our top priority and Artificial Intelligence is about supporting air traffic controllers. While they remain the decision makers at the heart of the operation, we can use it to provide new tools that help them make the best possible decisions and improve efficiency and safety,” NATS Chief Solution Officer Andy Taylor said.